R U OK? : can a little question really make a big difference? 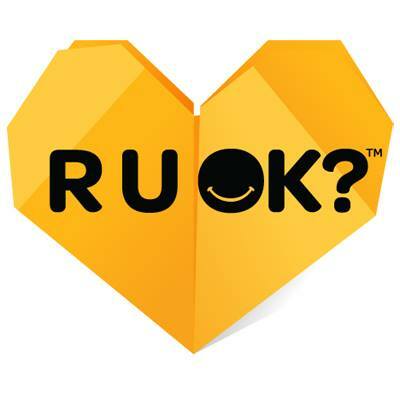 Today is R U OK?Day, a campaign aimed at raising awareness and encouraging the community to engage with people who might be thinking about suicide. While not without its merits, one of the criticisms of the campaign is that simply asking someone ‘are you OK?’ without knowing how to respond in a helpful way is likely to be pretty useless in a lot of instances. But there is value in the campaign if it goes beyond seeking out warm fuzzy feelings by asking a tokenistic question one day of the year. The good thing is we can have public discussions to acknowledge and nut out why it’s not as simple as asking ‘are you OK?’, and become better at supporting people who are feeling suicidal. As someone who has experienced mental illness ever since I can remember, the shame attached to talking about mental illness is a big problem. Last year, when I shared my story to my small network of followers in a series of tweets, the reaction was very warm and supportive. But some people with the very best of intentions warned me to ‘be careful’ about sharing this information so publicly. Why? Should I be embarrassed? Should I be worried that prospective employees will think I’m not good enough? Am I showing too much that yes, I am indeed a human being with thoughts and feelings and problems? I’m well beyond giving a toss about that. Because coming to terms with mental illness as an acceptable and natural fact of being human has been instrumental in helping to alleviate my pain. I think the idea that mental illness is inherently bad and must be “cured” does not help the community’s often hostile response to people experiencing it. Illnesses can’t always be cured. That’s OK. People can still have fulfilling lives in the presence of mental illness. And believe it or not, I am an expert in managing mine. Many of us are! I’ve had years of experience, and I’ve done all the things – counselling, medication, exercise, mindfulness, cognitive behavioural therapy, group rehabilitation programs etc. If I tell you that I’m not OK and you suggest solutions, chances are I’ve already tried it or I’m actively doing it. So, while many people who are struggling with mental illness might want information about where to go for professional help, solutions aren’t necessarily possible or even wanted. But you can still support the people in your life, and what that should look like differs from person to person. The key is to listen and offer to help the person in the way that suits them. What we do need is to know that someone is there for us and accepts us for who we are; that we are not burdens and that what we experience is real and legitimate. During my most difficult times, the people around me did not know how to respond. I was made to feel selfish and utterly broken, and unworthy of anyone’s time. It made me feel so deeply ashamed. The trauma of that is by far more painful and long-lasting than my internal experience of mental illness, which has at many times been so difficult I did not think I could carry on. So for me, R U OK?Day is not about mindlessly asking a bunch of people a random question in the false hope that it will solve people’s feelings about suicide. It’ s about taking responsibility and becoming more comfortable as a community to engage with the experience of mental illness in a meaningful way, without an agenda to “fix” us, to make the community a better place to be while living with mental illness. This entry was posted in Featured and tagged health, mental illness, R U OK. Bookmark the permalink.